Ghanaian waste management company offering solid waste source segregation programme to its clients along with recycling services, Jekora Ventures has held a durbar for residents of Adabraka-Garages in Korley Klottey Municipal Assembly (KKMA) to educate them on keeping their surrounding clean. Ing. 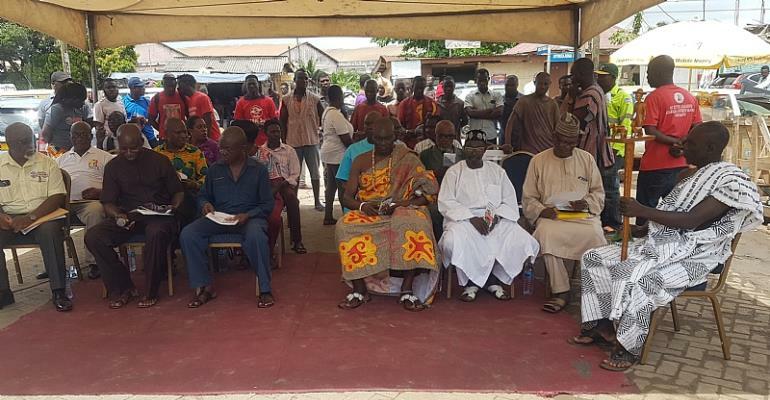 Immanuel B. Nartey Tokoli, Managing Director of Jakora Ventures said, the gathering was to enlighten the residents on the benefits of good sanitation in the Assembly. According to him, Jekora collects 6,000 metric-tonnes of waste every month within the Assembly alone. Mr Nartey-Tokoli gave the assurance that Jekora Ventures would train teachers and students to enable them implement the waste separation modules and help the children imbibe it at an early age to become responsible adults as they grow. The Director-General of Korley Klottey Municipal Assembly Mr Deey Kukubor added that President Nana Addo Dankwa Akufo-Addo’s commitment to making Accra the cleanest city in Africa and in pursuit of that agenda, the KKMA had designed a strategy to tackle the sanitation issues in the Assembly. He said the Assembly would continue to vigorously enforce its bye-laws to arrest the insanitary conditions in the city. “We strongly believe that, as leaders, you can help mould the character of the residents in your community and sensitise them on the need to support good sanitation by using the litter bins to segregate waste,” he said. According to him, there was the need to look for alternative ways of solving the sanitation issues in the Assembly which would create awareness on waste separation for a clean environment. Nii Tetteh Adjabeng II, Adabraka Chief added that the environment has been faced with enormous sanitation challenges and called for collaboration between the public and private stakeholders to address the problem. He expressed the hope that Jekora Ventures would continue to work closely with the Assembly and provide technical support and advisory services to achieve President Akufo-Addo’s agenda.